What is a Workload and why is management of Workload Assets needed? 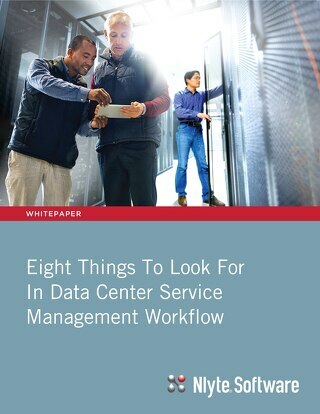 Third in a series of three White Papers. 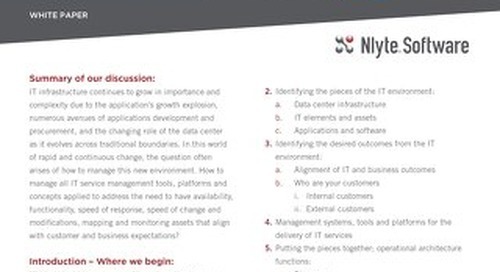 Applying tools and processes to IT Service Management, and how ITIL and ITSM work with DCIM. 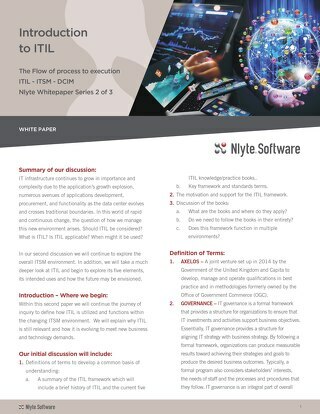 Second in a series of three White Papers - an introduction to ITIL, and how it is utilized in changing ITSM environments. 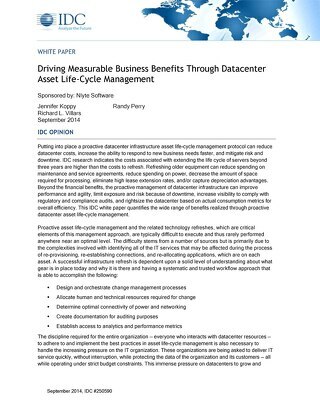 First in a series of three White Papers. Nlyte Experts discuss the flow of process execution - ITIL, ITSM and DCIM. In this White paper, Nlyte experts explain the benefits of Software Asset Management (SAM), including saving money, increasing security and achieving and maintaining regulatory compliance. 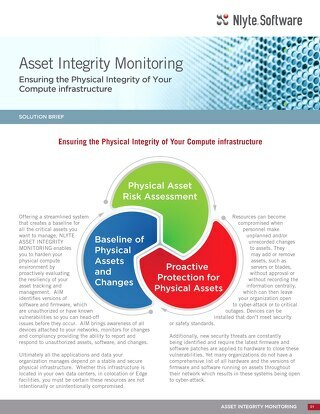 Asset Integrity Monitoring (AIM) helps ensure the physical integrity of your computing infrastructure, through discovery, change management, monitoring and alerting and reporting. 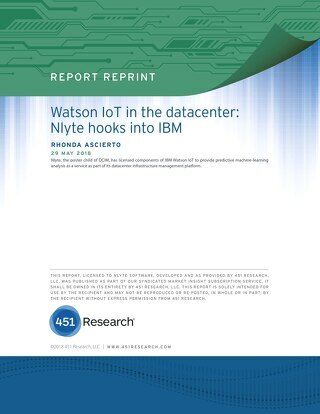 In this joint White Paper, Nlyte and GBM explore the advent of Artificial Intelligence (AI) for the Data Center, including Nlyte's partnership with IBM Watson IoT. Nlyte, the leading datacenter infrastructure management (DCIM) pure play, has added AI-driven datacenter management as a service (DMaaS) to its real-time software by ladding of IBM Watson IoT. This white paper explains how Nlyte supercharges your CMDB for better capacity planning and asset life cycle management both on a day-to-day basis and from a planning standpoint. 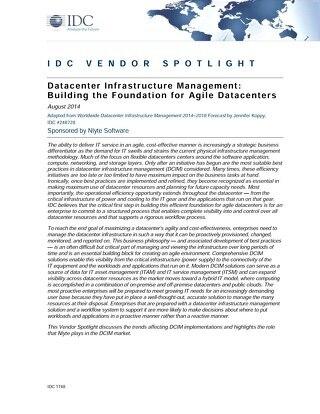 IT organizations need to go a step further to fully integrate their data center operations into their IT service management (ITSM) processes. DCSM bridges this gap. 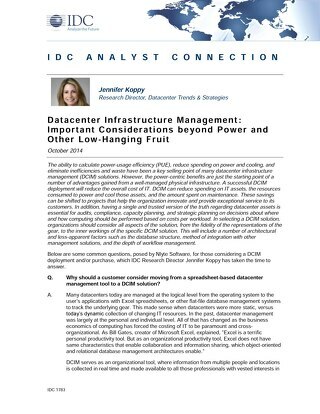 This primer answers questions such as: What is SDDC? Why is it important? 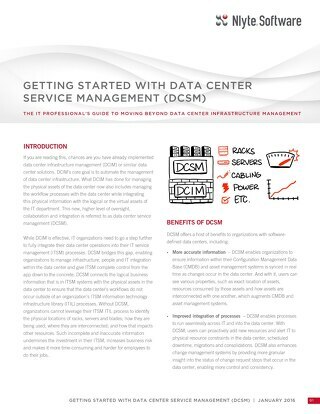 How does SDDC work? 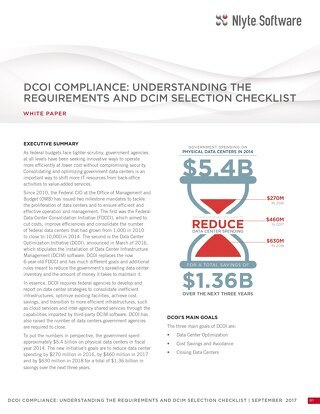 How does it relate to DCIM? It also shares steps to get ready for SDDC.